Muddy says: Priding itself on the freshness of its food, with Chagyu beef a speciality, this historic country pub ticks all the boxes for cosy nights by the fire, and alfresco dining in the summer. 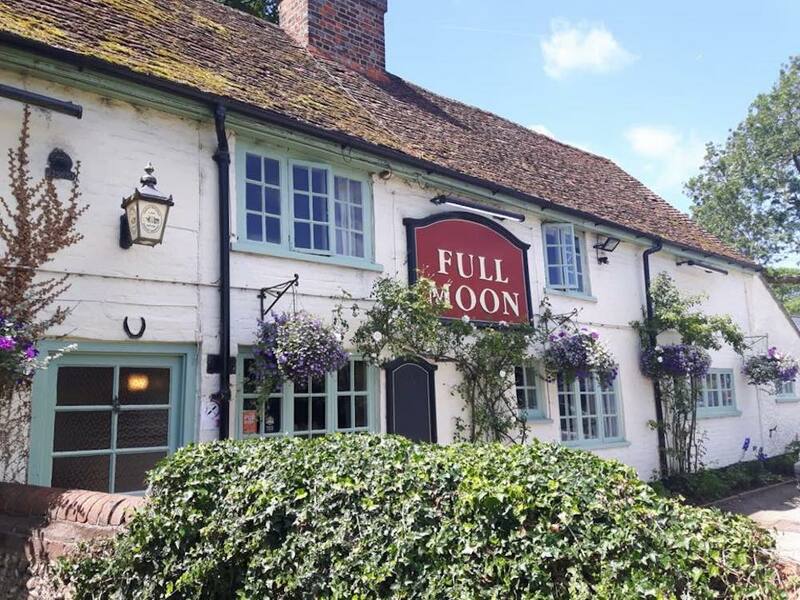 Situated in leafy Chesham amidst the gorgeous Chiltern hills, the Full Moon is large attractive historic pub with real fireplace, large garden and a windmill in view – so far, so ticking all the boxes for cosy winter nights or sipping drinks alfresco in the summer. Super fresh produce is head chef Andrew O’Connor’s calling card – he orders meat at 10pm for arrival the next morning and its there at 7am for its arrival and you can expect pub classics done well. It’s not pretentious here – you can order a toastie at the bar (isn’t that great? sometimes that’s just what you feel like!) but the beef here is Chagyu, a superior cross of Wagyu and Charolais, supplied by local finalist in the 2018 Beef Farmer of the Year and the crowd-pleasing nature of the menu is something to be embraced here. Pleasingly, they offer a coffee and cake in the mornings, Family Monday meals from 4pm – 7.30pm (which is an inspired idea – why don’t more pubs do the same? ),and of course the full blown Sunday Lunch experience.